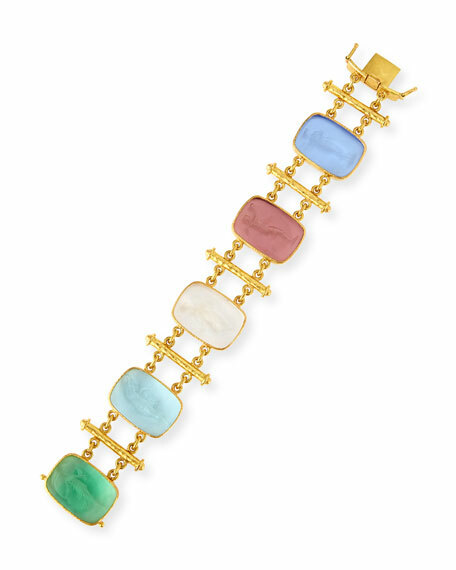 Pastel Muse bracelet from Elizabeth Locke. Venetian glass intaglios backed with mother-of-pearl. Made with modern glass using 17th century molds.